For sale a mixed bag of TQ cable before it was pissed about with. 2M of Ultra Black normally £200 + /M selling for £200.00 a set. TQ basic Black speaker 2M normally £50/M for sell at £50.00 the set. Black TQ interconnect normall £280+ a set for £140.00 a set. AntiCrap said: 2M of Ultra Black normally £200 + /M selling for £200.00 a set. Just a Update with the plugs not included they are Just 215mm long . And I have some short runs so I could do jumpers, if asked. I have the Black Speaker cable and it's really good likewise the black IC. Someone take the Ultra Blacks! That's when the TQ cables start getting really interesting IMHO. Could be a good one for you Shaun? Yes I had thought of them but I'm only in need of a1M pair. I go long IC and short Speaker cables from the mono's. Maybe Col will cut them in half and then you can bi-wire. Works very nicely here with UB and Graphite on my SECAs. Long interconnects and short speaker cables is what I want to do (again). Back in the day I used Albany M408s like that. Yep........Ultra Blacks are damn good. "Some people are so poor, that all they have is money*"
TQ UB speaker cables are very good in terms of SQ (less attractive in terms of ethics). If Colin finds some UB interconnects behind his cistern I'd be interested. Are they Black or Ultrablack? What more can you say about the bit in brackets ("(well UB but cost is to high)")? A man of few words...! Ultra blacks gone guys, sorry. Yep Gary should be enjoying them soon. Had a set of Blacks back in the day (and the IC's too) and very good they were too. Replacing my Mogami speaker wire with the TQ at one of my Scottish Mafia soiree's was like changing the speakers! Currently using home brew Cat5e braided set. Will post here about them, seems a good place to hang out. My UB speaker cable I like very much. So feeling a bit jealous of your recent purchase. The Cat5 cable was made to this recipe... http://www.tnt-audio.com/clinica/triple_t_e.html My speakers are biwirable so have the cable wired to suit. Not suitable for every amp though, Naim, NVA etc needn't apply as the cable will make them throw wobbly. Sounds great actually, looking forward to plumbing in the UB should be a nice upgrade. Gaz - the bass of the UB's will be a bit of a shock after the Cat5 DIY - which is otherwise pretty good. Hi Mark, Yeah...read about the showing the UBs had at Owsters, thats what got rid of the last bit of doubt. Your comment actually about not being able to DIY anything as good for the price sealed the deal! I've asked Col about his second set of interconnects which I'm interested in, not sure what's left. Thanks for the comment about the Cat5, assuming the shock with the UB's will be pleasant one? With Nick's 300B and the Cat5 its deep and as tight as a drum. If theres improvement then great stuff! Two pairs of IC left and a 2M pair of speaker cables of TQ Black. And a 1M pair of UB speaker cables. Got the Ultra blacks and the jumpers in this afternoon. Thanks very much, sound very good indeed and will improve with some time on them I'm sure. No after taking injection for 5 day not eating from 6pm Sunday, then getting to the ward to find it was not the ward they said, got to right ward, at 7.0AM Monday told to come back at 12 Noon waiting until 4.0PM and the told they had no bed so it was cancelled now for the third time, well pissed off. Feckin' Nora...thats bad. NHS at its finest. Not feeling the pinch so much with the Scottish NHS (yet) but do hear its not great south of the wall. As a silver lining to your day, :-) the cables sound significantly better than the homebru Cat5e braided stuff I had in before and a significant jump from the TQ Black I had a while back. Never thought I'd be lucky enough to own the Ultra Blacks. Thats two Scottish folk youve delighted in a week! Thanks Col. The Scots are worth it great family except 1. Lovely place. For my next trick I will be showing folk how to convert the Cheaper TQ Green to UB with a bit of effort, so watch this space. And save hundreds of pounds, cool eh, Yes I do understand what I am doing I designed the stuff, and the company was stolen from me. And now they think they can buy my shares cheap. 1) Destroy the competition with better product. 2) Make products more available at a lower price. 3) Make a smaller product range that cover all bases. I did notice a certain amount of ''secrecy'' when the TQ cables where released and naturally when my own Black IC’ arrived DIY took over and I had a look see. So I do have some small grasp on the how’s and whys of the construction methods but not the quality or nature of the metals used. BTW I’ve not discussed my findings online or anywhere else and only looked to quell my own curiosity. I did have one or two surprises at the time of looking but your reasoning became apparent further down the line. I’m wondering if you’d be up for a more general ‘’sound pipe’’ type discussion where construction could be discussed without touching the materials used? Maybe we could touch on the golden triangle relationship between inductance, capacitance, resistance and their effects on phase response which your cables seem to have a sensible and effective approach towards balancing. I do realise that you have a commercial interest in such things but a ‘’basic’’ DIY version using off the shelf stuff may be fun. The Golden Triangle Neat, but it will only open up other property people seem to be ignored. As they seem to think unwisely that these not mentioned properties have drastic effects when cable are design to combat phase and frequency response. Including small details like voltaic effects of dissimilar metal including solder. And electron drag caused by insulating material and there interaction with conductors, and of coarse skin effect on edge response, and these few are effected by load and frequency normally ignored but wrongly so. It a big subject and to be blunt there is no way on earth I am giving a lecture on maths/chemistry and physics today. It was hard enough in the beginning to convince my ex friend and business partner at the start of TQ having failed to get Naim to try it when I started up Catch XXII two years before TQ. But if you like to look up the works info can be found in book (lots) written many year ago on https://archive.org/ the trick is to put the info together and use it wisely. Hi Col, Been playing with the biwire setup of my speakers today, and wondered if I could tug on your coat for a second and ask a question about the jumper cables? If I split the jumper cable (2 core wide cable) into 2 seperate 1 core narrow cables, will I impact sound quality? Directionality of jumper cables is audable, but need the flexibility of splitting into 2 seperate runs so get best sound quality for my speaker setup. 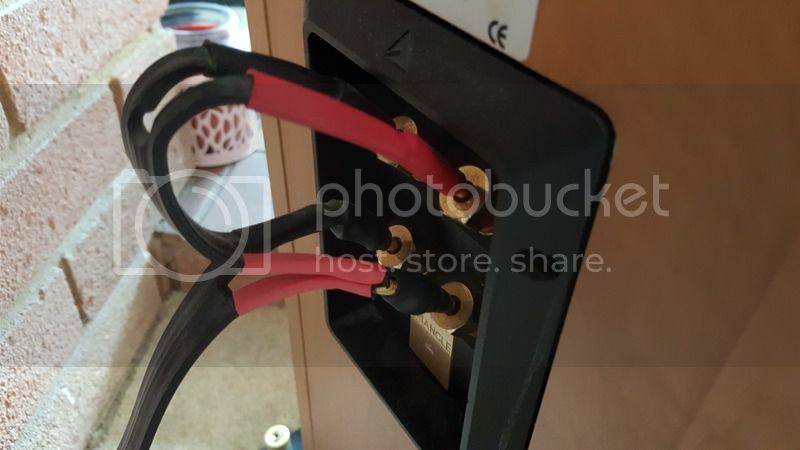 As my speakers have biwire terminals(4) and Im feeding a normal 2 core cable into them, the thought is to connect to either top HF terminals or bottom LF, and use jumpers to connect the unused ones? Been playing about though and that isnt neccesarrily the best sounding connection! Best results come from Red + speaker lead directly connected to the HF+ terminal, Black - speaker lead directly connected to LF+ So direct connection of speaker cable to +'ve LF and +'ve HF. So rather than the bottom or top terminals both been used, I connect the cable diaganonally? Using the jumpers for a "diagonally connected" speaker cable in this way means (in terms of cable directionality...) that one of the jumper connections is running in the wrong direction. As jumper cable is constructed with wide web between the cores I have to choose between the two. BUT... If the jumper cable was split along its length, I could have the cable directionality running correctly the way I need to connect it. 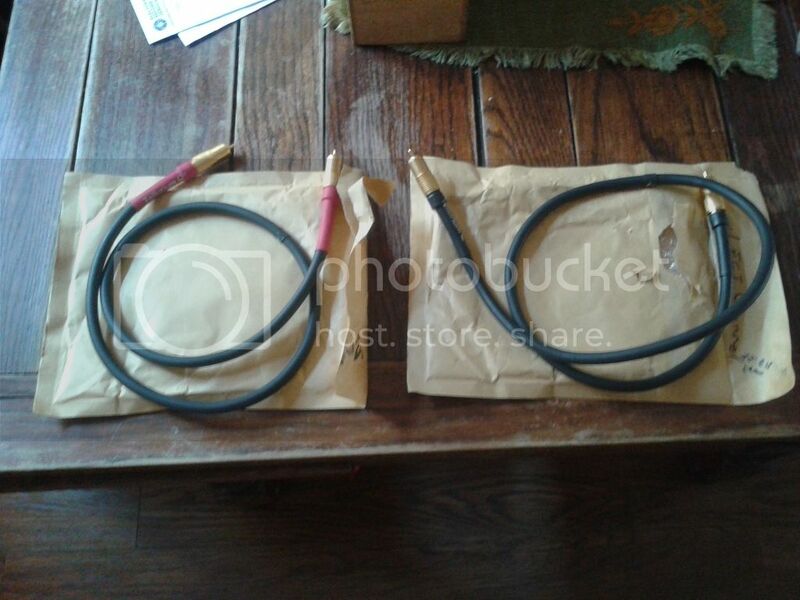 WIll splitting the jumper cables to make two seperate single core lengths (rather than one wide 2 core cable) have any impact on the cable sound quality? I ask Col as I know cable construction is all part of the CWC (Colin Wonfor Cable) magic. I see TQ jumpers are being sold as single lengths, but dont want to split cable if its gonna piss about with what makes it sound so good. Split it with no neglegable impact? Have to say directionality is noticable with the cable! Prefer to leave the cable uncut, and can effectively do the same thing by just reversing the black jumper connections on one side of the terminals. Now I can forget about speaker connections and just just enjoy the music, another box ticked. Colin will be able to help with this and his is the opinion you really need. I believe that the spacing between the runs is very deliberately set by Colin (although I wouldn't ask at TQ HQ any longer - I'm fairly sure they won't know why). Thanks for the reply Col it's most interesting. The Skin effect was covered for me some time ago by Russ Andrews so I know a little on that. His approach was to use conductors of varying thickness to reduce it but something like individually isolated conductors can help also (maybe). Also the dialectric materials used with air being top of the pile in terms of reducing capacitance. Then there's all of the Inductance variants to deal with. And of course you are right. Lectures on maths and physics well I've slept through a few so not really what I had in mind. Just a few hints toward good cable design for the real world every day John would be interesting and fun. Yes I noticed that some work had been done with that but TBH it had me scratching my head a little at the time. But after reading some of your SECA posts all became a little clearer. It's a deep rabbit hole but an interesting one. Thanks guys for you efforts it looks as if all the cables are now sold. And now for the bad news it is Sunday he he so loud music day to pay back the very heavy footed nieghbours. Some official complaints later and a two hour session of Deep Purple Live in Japan (turned up to 11) cured all that. Basically I have licence to play as loud as I want...he's slowly getting the message! On another TQ related note? Speaker cable burn in...50 or 500 hours for the Ultra Blacks? Already better than any cable I've had in my sysyem and then some, just wondering if theres more to come? Dunno about 50+ hours Gaz. The ones I got from Dave B sounded great from the box and didn't seem to change much in my pretty transparent system. Colin did advise to dunk them in very hot water for a few minutes then transfer them to the freezer. I've never got around to this, but he should know ! OK just one pair of IC left TQ UB soon to be surpassed by a new designs idea, so going cheap £140.00 soon to be a collectors item. I'll take em Col! And a pair of your new ones when they come out. Sold and on there way Ben, and you are hols again schools easy life. Not at all. They will actually be used to bind the hands of naughty school kids. That sound how TQ works for design engineers. Maybe that was the original plan. A little nervous posting about them due to the political / personal unpleasantness that infused Colin's relationship with this company. But, I do feel relief that I have purchased them from Colin himself (as part of his final TQ product purging). Moreover, my understanding is that the UBs are very much Colin's creation. 1. More realism(?) in the upper midrange, so things like the leading edge of snares, cymbal rings and some vocal sounds seem more authentic to my ears. 2. Dynamics seem more controlled and smoother...More convincing...louder...? Hard to describe that one. 3. Bass sounds have a more multi-dimensional texture. This characteristic is similar to changes that I've noticed when introducing other Wonforian creations to my system. The TQ UB IC is subbing in for the NVA SSP that I've been using very happily for 10 years. The UBs are probably the first alternative I've tried that I think I prefer.